Iâ€™m gonna have to claim some of the credit for Meat in a Bap. You can thank me later! During a ski trip with one of the owners, I kind of convinced him that the idea was second to none and with our branding we can make it a go to place for Belfast Meat Lovers. Over the last 14 months, it has become just that. Mostly due to the awesome food the Meat in a Bap team sell, but also down to our creative design and marketing ideas. Not to mention (until now) their excellent website we put together for this exciting new business. The owners wanted a clean easy to manage website and we were happy to deliver. Now they donâ€™t really have use of a content management system, but do want to integrate their social media to keep the site live and up to date with their current offerings. We linked their Instagram account, so that any new photos they post of food and marketing are automatically updated to the website to keep customers 100% informed. At a later stage, weâ€™ll introduce a Wordpress content management system to allow the management to upload blog content and to edit the menus with ease. For now though the team donâ€™t change their menus that often and so a content management system is a little overkill. This keeps initial website development costs down to a bare minimum. 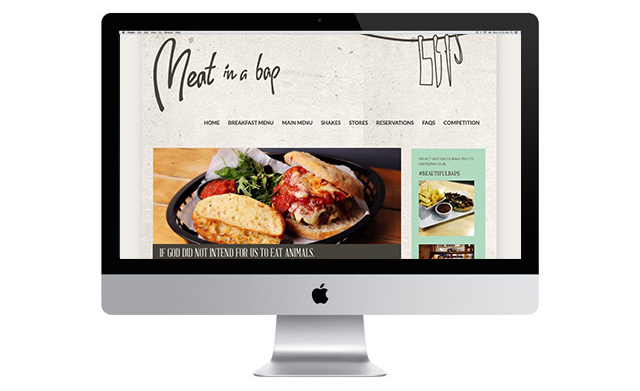 Visit Meat in a Bap at www.meatinabap.com Working with brands like Meat in a Bap from the very inception of the brand, we can craft and develop their online and offline presence exactly in the direction the owners and marketing team wish. This is a huge benefit of using Kaizen. 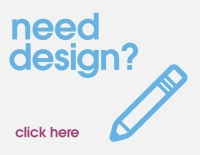 Not only are our designers skilled in brand development, flyer design and design for all aspects of offline marketing, but we have skilled coders and front end designers who can bring your brand to life onlineâ€¦.the worlds largest shop front! If you are opening a restaurant or want to discuss branding of your business, weâ€™d love to chat to you. Get in touch on 028 9002 2474.